The Society is a painting group that meets every Friday afternoon between 2pm and 4pm in the Shipley Art Gallery workshop. The Society has never been a school teaching group, although demonstrations by visiting artists are held regularly for the benefit of the members. Entry is made subject to the limited size of the workshop and by a viewing of the applicants artistic works. There is a waiting list for membership at the moment. 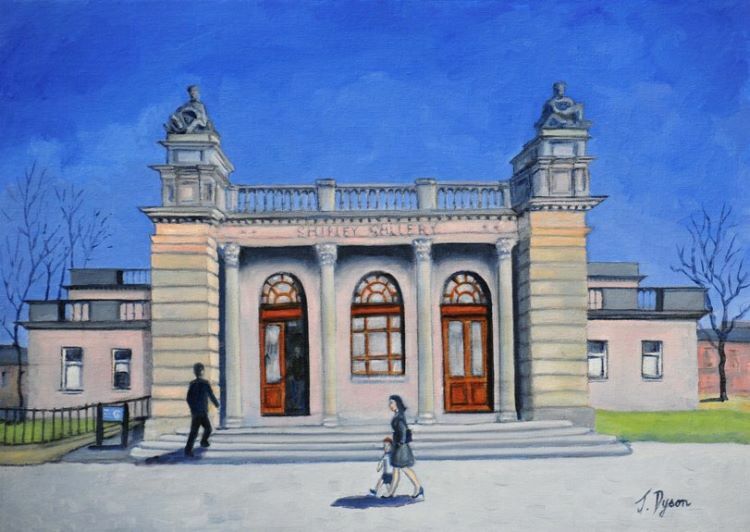 The Gateshead Art Society was formed by a group of artists in December1947 under the presidency of the curator of the Shipley Art Gallery, G.Nevin Drinkwater. The Society was, and still is, based in the Gallery workshop where members meet once a week to produce their art. Their work is shown at the annual exhibition which is held in the Gallery, the first of these being held in October 1948, when eighty five paintings were shown.